Plump And Juicy - mounted by Sarah Jane Szikora // £235.00. 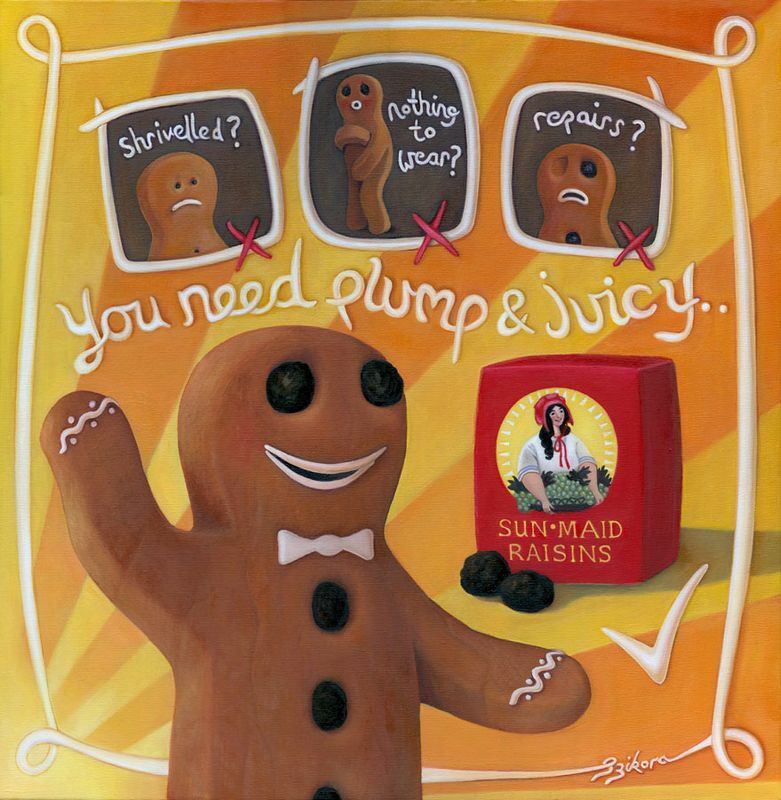 The return of Szikora's most beloved characters the gingerbread men in this new release for 2015 'Plump And Juicy' and a tribute to the childhood lunchbox favourite, the Sun-Maid Raisin box! What do you do if you are gingerbread man and face one of those daily problems: Shrivelled?, Nothing to Wear?, Repairs? well by Jove Sarah has cracked that problem, you simply nosh a handful of Californian raisins to regain your strength and composure.